In the last months "Punishment Island" travelled all over the word: in Taiwan touring at universities for the Taiwan Ethnographic Film Festival, in Egypt at Luxor African Film Festival in the Freedom category, in Italy at Sguardi Altrove where it won Best Film for the press (in the picture), in Canada at Festival du Film Ethnographic du Quebec. 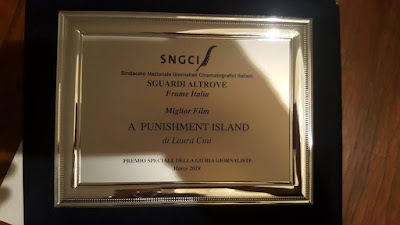 We are happy to announce that Punishment Island has won both the award for best documentary (in ex aequo) and the award of the young jury at the 3rd edition of Visioni Dal Mondo in Milan. Next screening in Florence, XXXIX International Festival Cinema and Women, Saturday 11th November 5:30pm at Cinema la Compagnia, Via Cavour. The film will be premiering in Kampala, National Theatre, Sunday 24th of September, midday. Q&A with Comfort Abemigisha (author of the artwork and translator) and Laban Ahimisibwe (location manager and fixer). The film will screen in European premiere in Milan, Unicredit Pavillion, Sala Tiglio, Saturday 7th of October, 4:15pm. 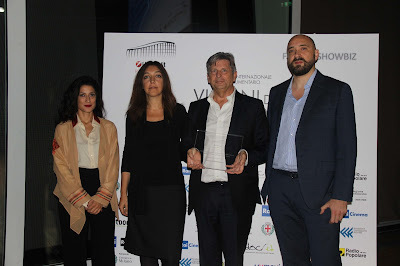 In competition at Visioni dal Mondo, Immagini dalla Realtà. 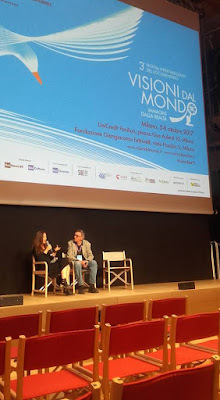 Q&A with writer/director Laura Cini and producer Sirio Zabberoni. The film will screen in Asian premiere in Taipei, Taiwan International Ethnographic Film Festival, Sunday 8th of October, 8:50pm. More screenings soon in the UK. Finally, the film will be screened in world premiere at the National Theatre of Kampala, Sunday 24th of September 2017, midday. African Movie Night Kampala at the Bayimba International Festival 2017. 10th Anniversary edition! In October the film will be screening in Taipei at the Taiwan International Etnographic Film Festival. 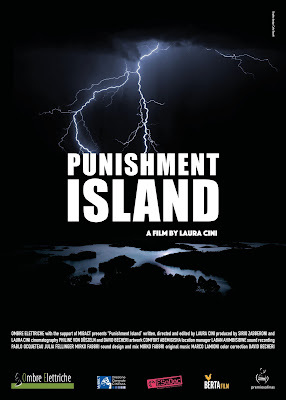 People in Uganda, waiting for the upcoming premiere, the trailer of the documentary "Punishment Island" will be screened on the 9th of May in Kampala, National Theatre, courtesy of African Movie Night Kampala Monthly Screening. Soon posting news about the film premiere. 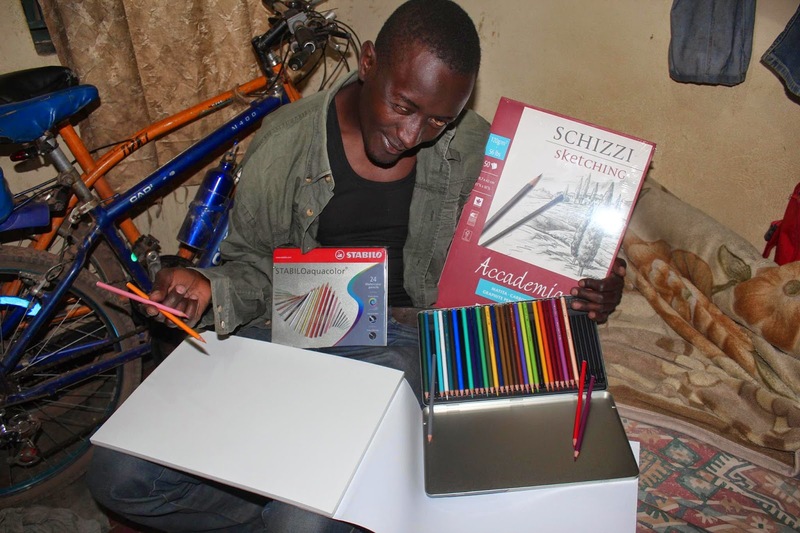 Drawing materials bought for Comfort thanks to the funds raised through the crowdfunding for the artwork has reached Uganda and Comfort is at work! Thanks to all supporters again and to Laban for taking the picture! - 7! 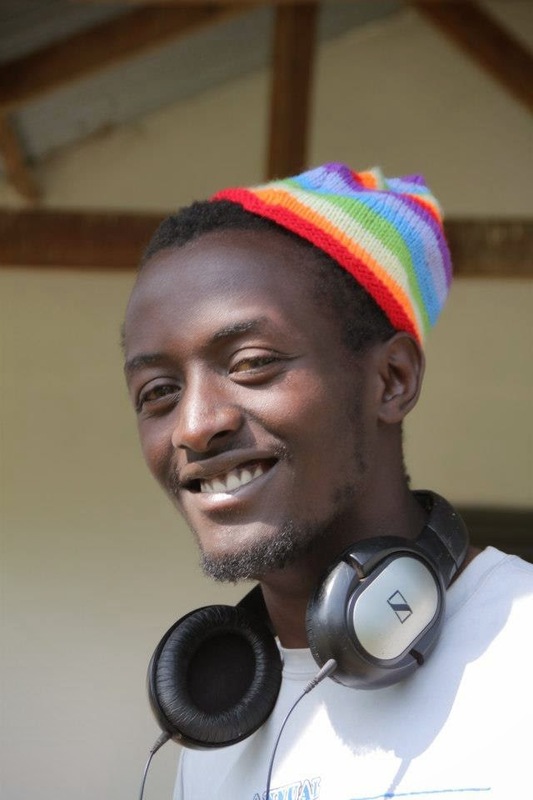 Last week left to support Ugandan artist Comfort Abemigisha in the making of the artwork for the documentary. Help us to support him if you can, any small contributions is vital for us to proceed. 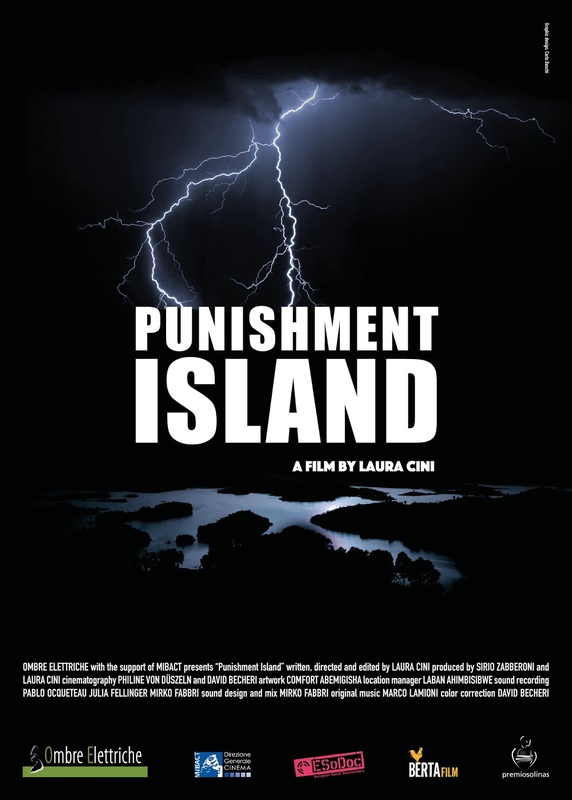 Information and contributions at this link http://www.ulule.com/artwork-island/ or if you want to support with Paypal or in other ways you can get in touch with us at this Email address: punishmentisland@gmail.com Thanks!!! This is the talented guy you are supporting! Or you can write to us at punishmentisland@gmail.com if you would like to contribute, but you rather do it through paypal. That is possible. Thanks! Thanks to our Early Birds! 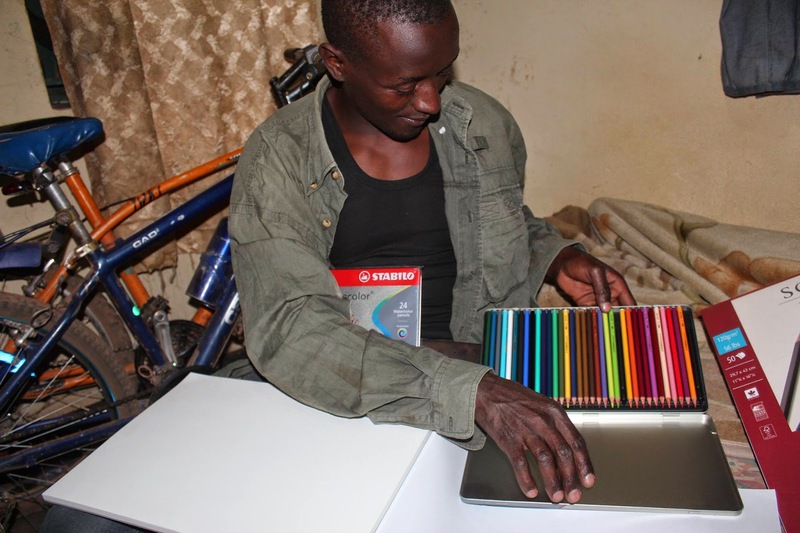 We knew that this time it was going to be difficult, that's why we want to thank our first supporters on the crowdfunding for the Artwork, who gave us hope we may have a chance to raise the budget to finance the drawings for young Ugandan artist Comfort Abemigisha. Carlo Boschi, Johannes Wilms, Sheila Windrige, Philine Von Dueszeln, Maria Pesli, Johannes Wilms and Antonella Bundu. 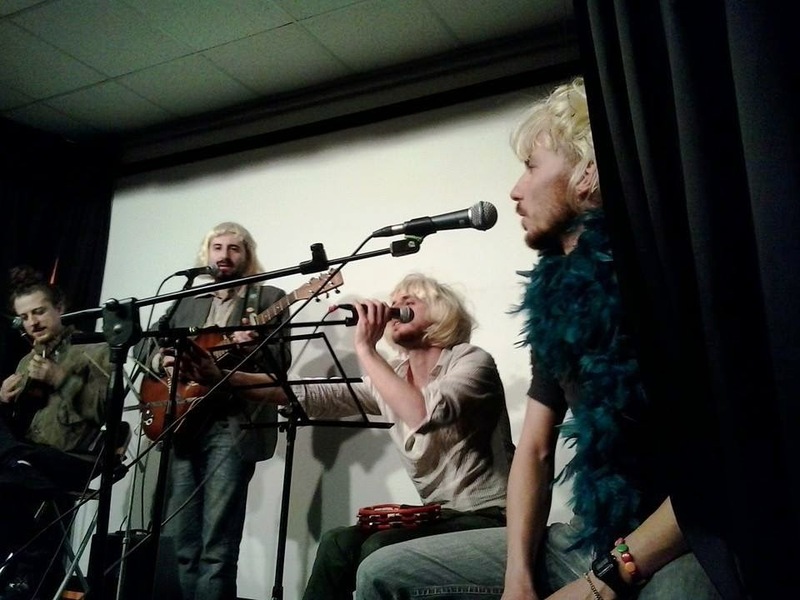 We still have one month and 600 Euros to raise. 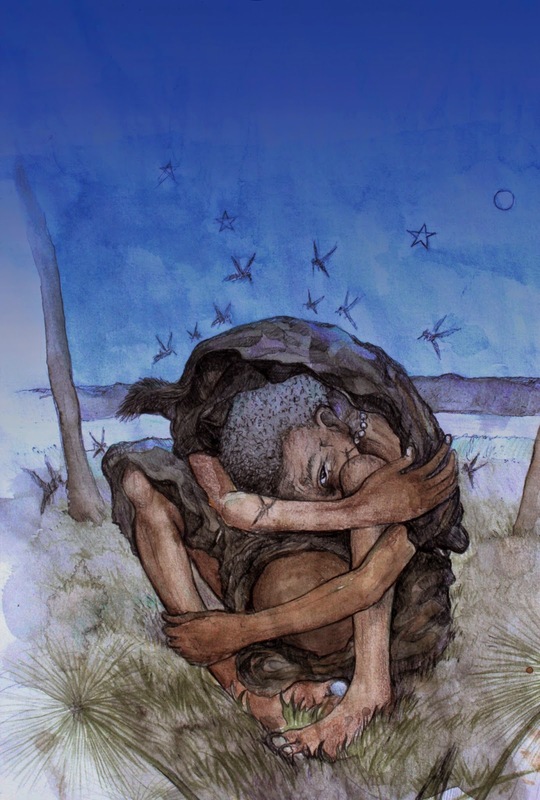 Have a look here http://www.ulule.com/artwork-island/ and remember that any small contribution counts. Thanks! 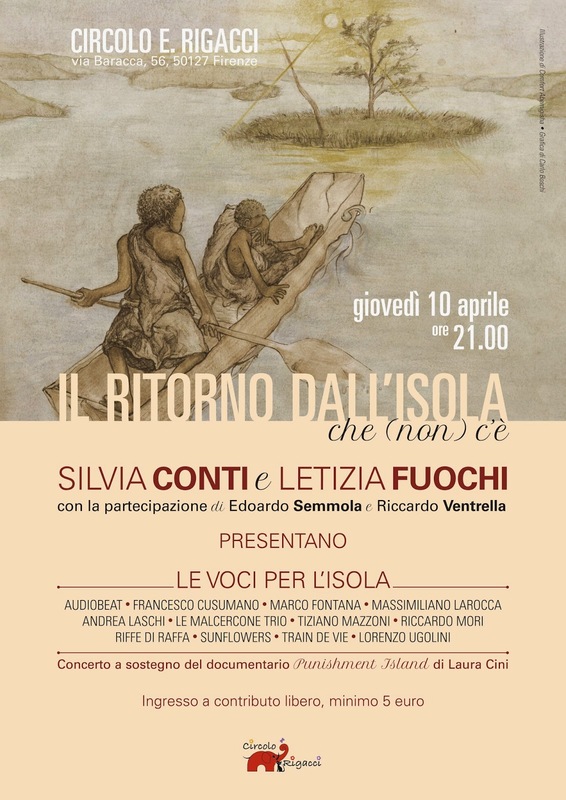 10 of April in Florence! Those of you in Florence are invited to come to a big night of music to support the making of the documentary.